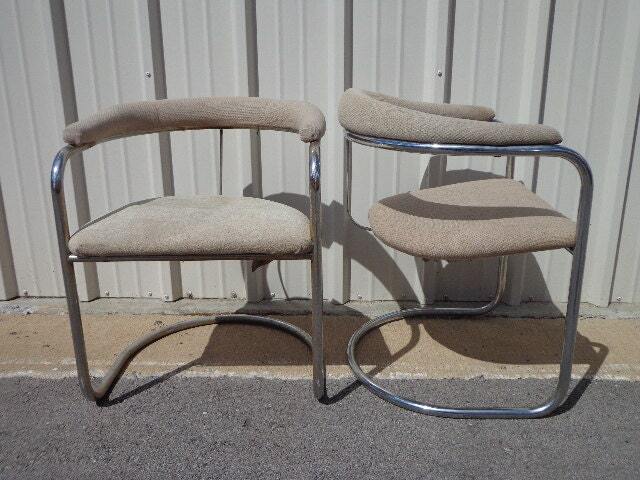 Fabulous set of 2 mid century modern chairs. 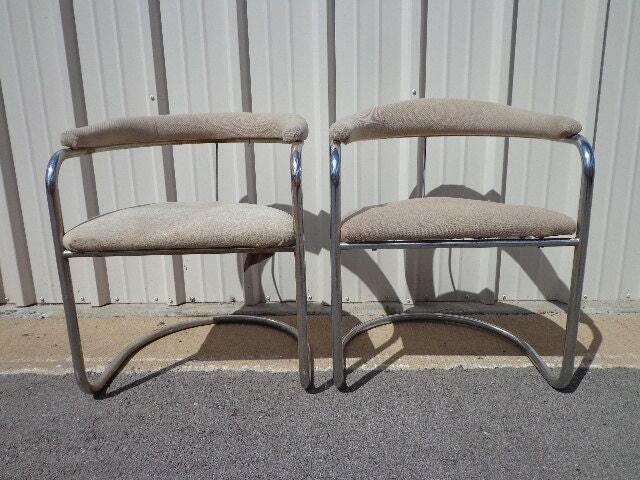 Mid Century Modern Anton Lorenz Model SS33 Chairs for Thonet. 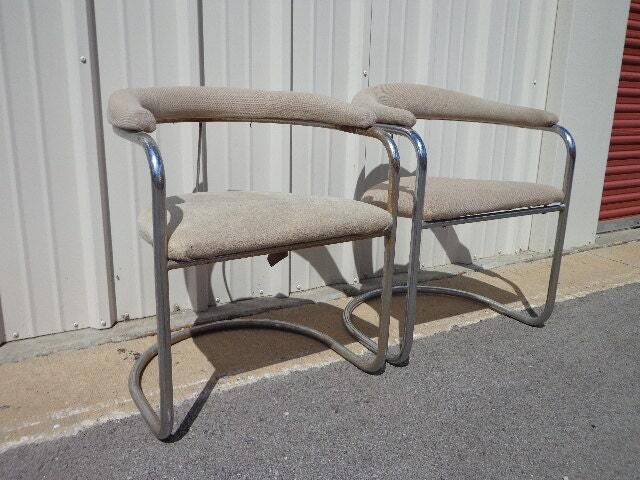 These are classic and perfect to use as dining chairs , accent chairs , entry way , or anywhere. 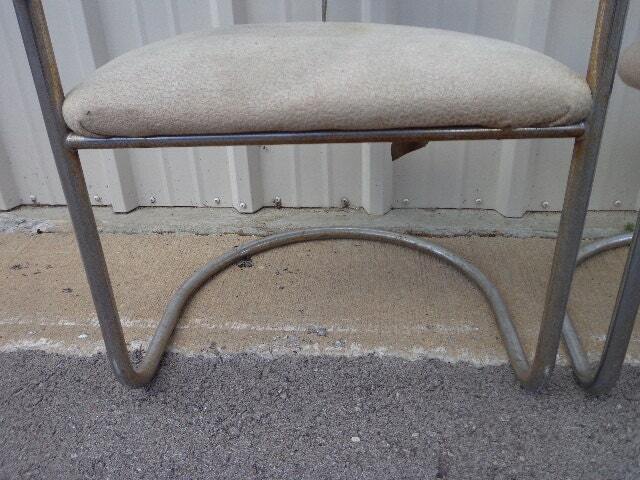 Vintage condition, both show heavy surface wear, both need to be recovered and reinforced. 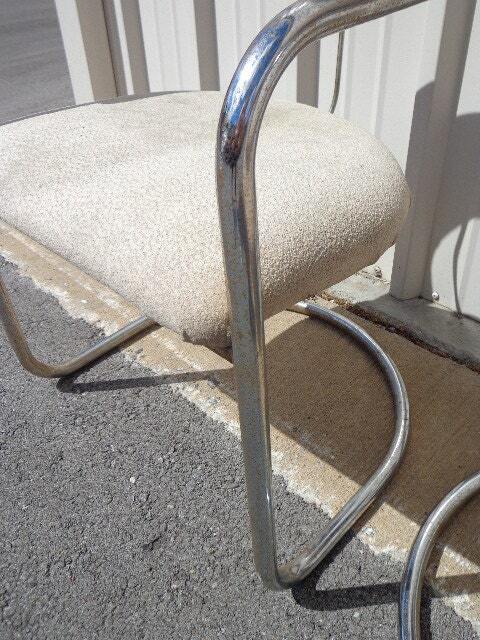 Frames show heavy surface wear.